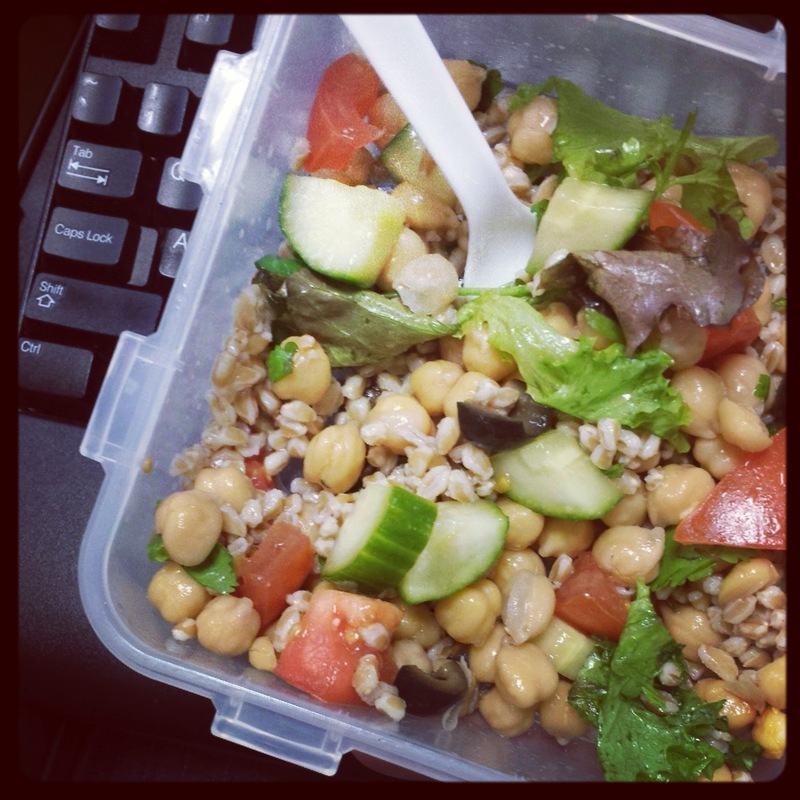 This Farro Salad with Cucumbers, Tomatoes, Olives, Chickpeas and Lettuce happens to be vegan, easy to make, delicious, perfect for Meatless Monday and a great lunch to bring to work. The other great thing about this salad is that you can make it Sunday night and bring to work at least for three days in a row. It could probably last an entire week, but I haven't tested that hypothesis. In this case, grain is farro, vegetables are cucumbers, tomatoes and lettuce; protein is chickpeas, acid is lemon juice, and herbs are cilantro. Note that cooking chickpeas at home is incredibly easy and adds a great flavor to your salad, but if you don't have the time, go for the canned ones. Notes: you may want to add herbs each day instead of adding all of them at once just to make sure they don't wilt. 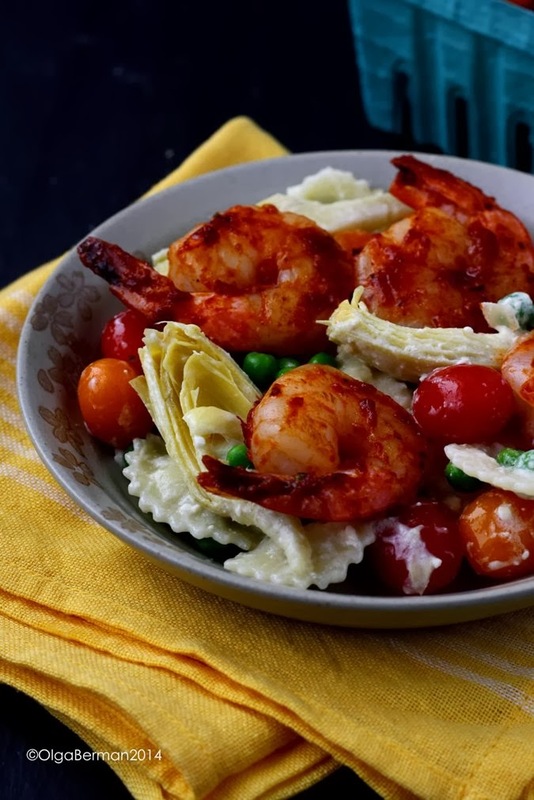 Also, make sure not to overdress the salad: you can always add more olive oil and lemon juice, but you really don't want your vegetables to be swimming in the dressing. 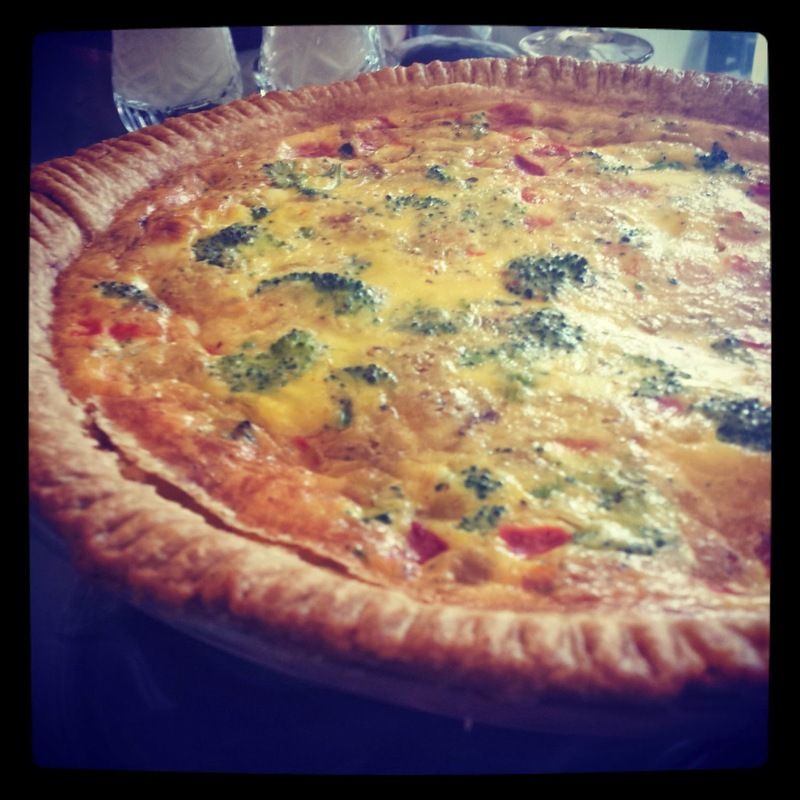 What do you like to make on Sunday to bring for lunch to work? Would You Eat at a Stranger's House? 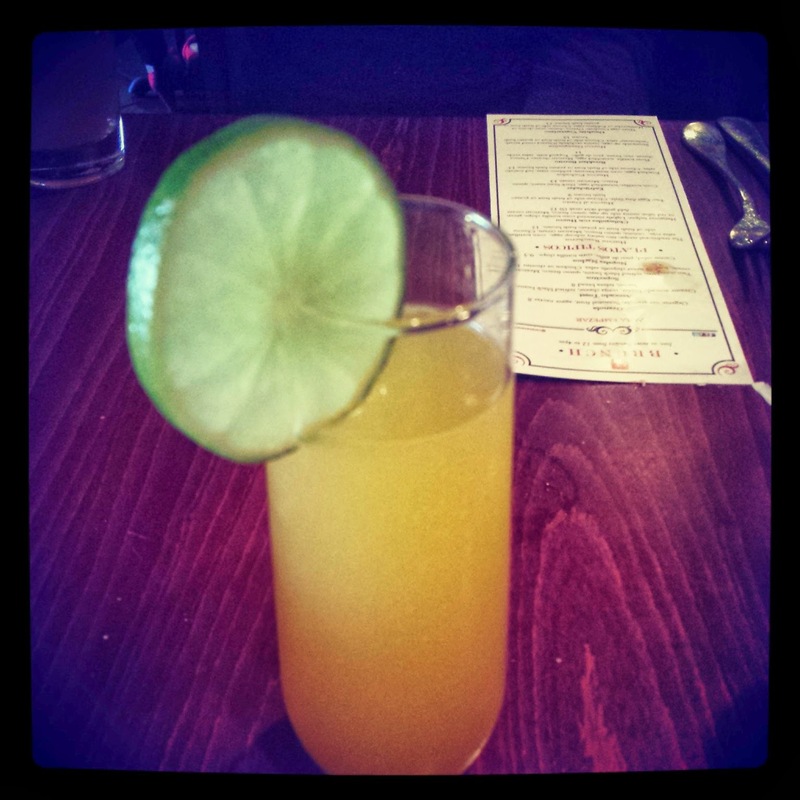 Brunch at Bookalokal in DC. Would you eat at a stranger's house? That's exactly something I had to consider when I was invited to check out a relatively new idea that started in Europe and has moved to DC: Bookalokal. "At Bookalokal, we live, work and travel the world. No matter where we go, it’s always food that brings people together. 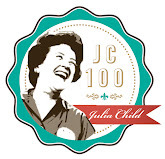 Our aim is simple: to make it easy and safe to share an authentic meal with people anywhere in the world." The brunch was hosted by the founder of Bookalokal, Evelyne, which made me feel safe, but just to be sure I'll feel even more comfortable, I brought my friend K with me ;) Safety in numbers! So how does it work? You go to the Bookalokal website and browse events by your geographical location. There are baking lessons, brunches, bartending classes and ice cream parties hosted by people verified by Bookalokal founders. You sign up and pay for the event you like and show up, meet new people, eat delicious food and learn something new. 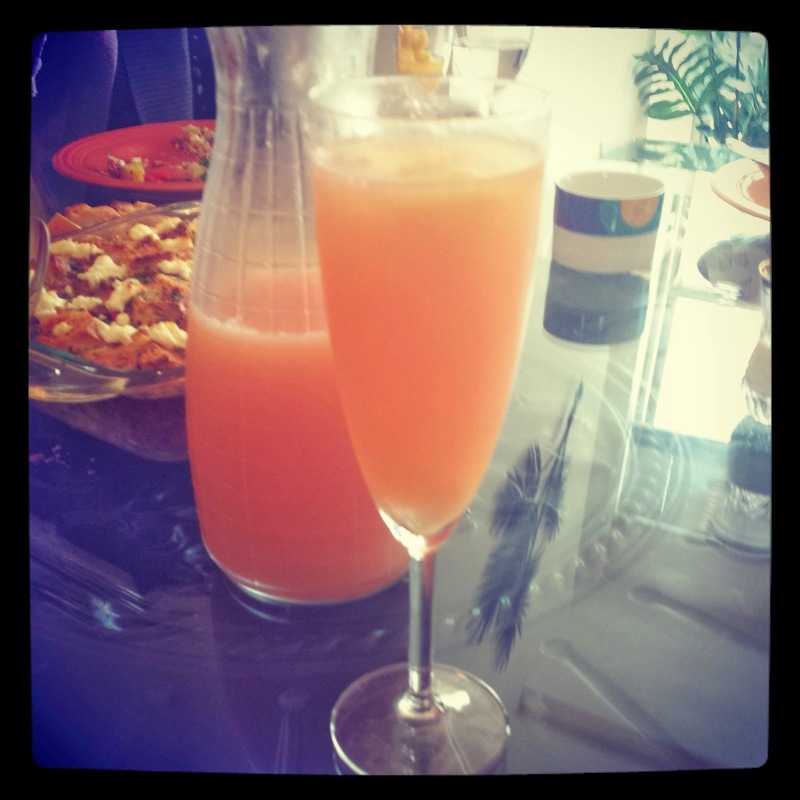 The brunch K and I attended had a never ending amount of mimosas with mango, peach, apricot, orange and grapefruit juices, and I loved the idea of adding frozen berries and fruit to your glass to keep the beverage cold. The food spread was quite impressive: salads, quiches, breakfast casserole, roasted potatoes, BACON (I was just craving it a few days earlier and my craving was definitely satisfied), bread, coffee, tea and a delicious crumble made by Evelyne's co host Jackie. I think Bookalokal is a great way to meet new people if you are new to a city or just want to find those who have similar interest: food! At brunch there were both men and women, although women definitely made up the majority. What I loved most was how international and diverse the group was. We were born in different countries, spoke different languages and had occupations that would have never brought us together, but that did not matter because we all loved brunch and trying something new! If you have specific questions, you can read this very thorough Q&A! Go see if there is a Bookalokal in your city, find an event that sounds interesting, bring a friend, and meet new people over food and drinks. Who knows, maybe you'll love it so much you'll open up your home and host the next event? 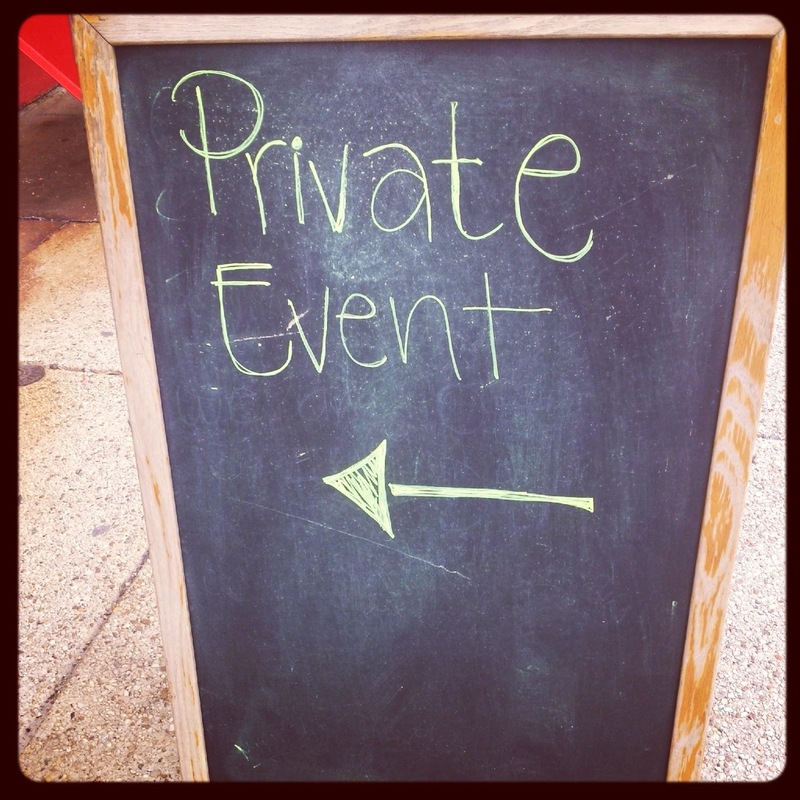 Disclosure: I was invited to check out the brunch event free of charge and bring a friend. I was under no obligation to blog about it. All opinions are my own. I love brunch!!! What's not to like about a delicious meal with boozy beverages, coffee and a choice of both breakfast and lunch food? 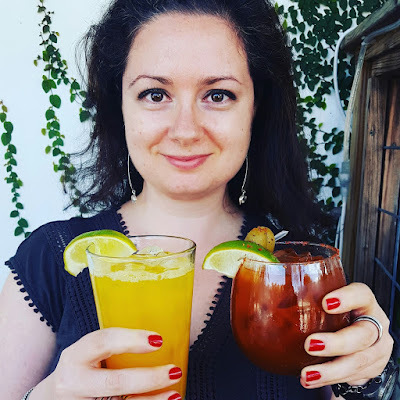 When I was invited to check out the new brunch menu at Casa Oaxaca this past weekend, I was happy my schedule was free to say si! I've been to Casa Oaxaca, located in Adams Morgan neighborhood of DC, for dinner with friends, a date, drinks and even a cooking lesson! The restaurant is colorful, the music makes me want to dance, and the food is flavorful and filling. 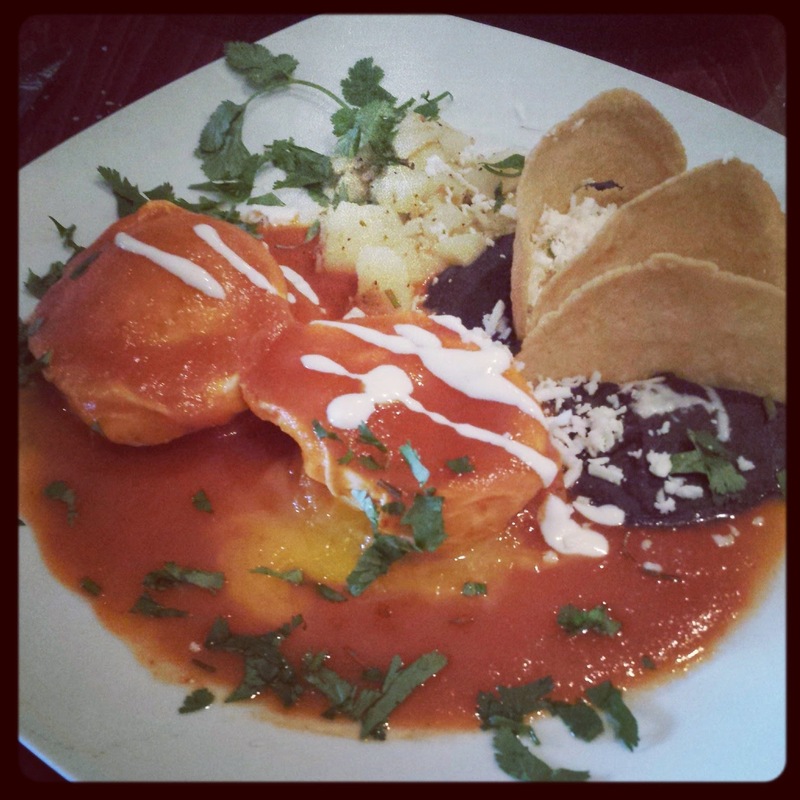 If you live in DC and want to check out the new brunch menu at Casa Oaxaca, get there Sunday March 30th at noon! 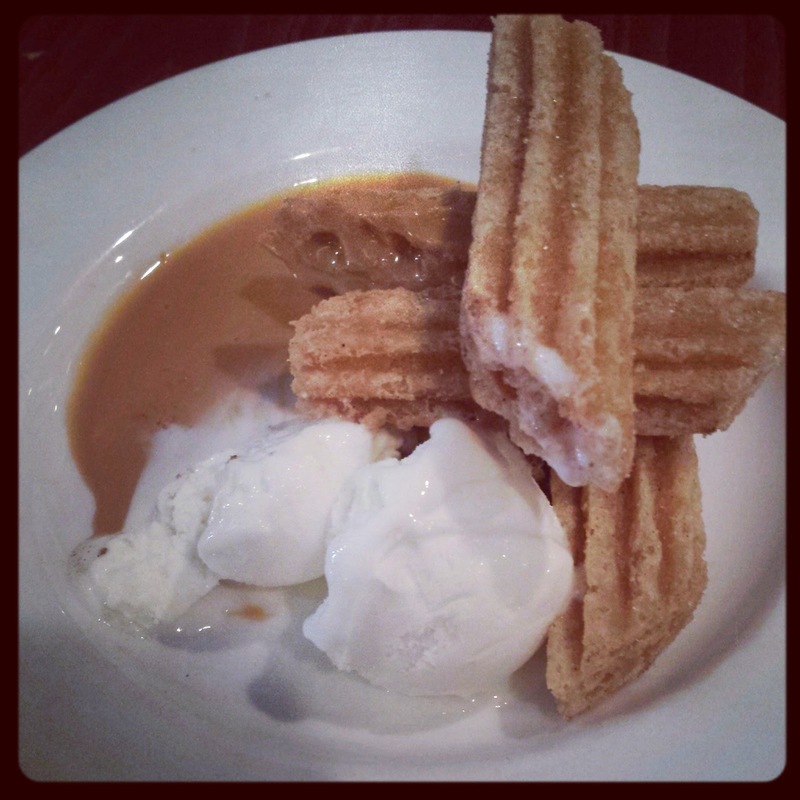 Below are photos of some of my favorite dishes and beverages. 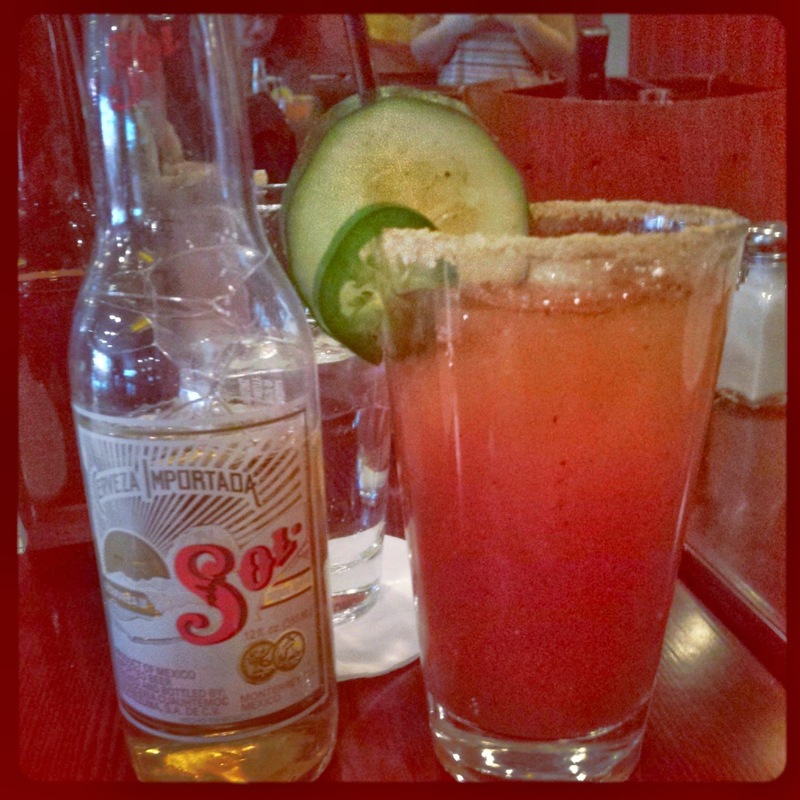 Michelada with tomato juice, spices, pickled jalapeños. 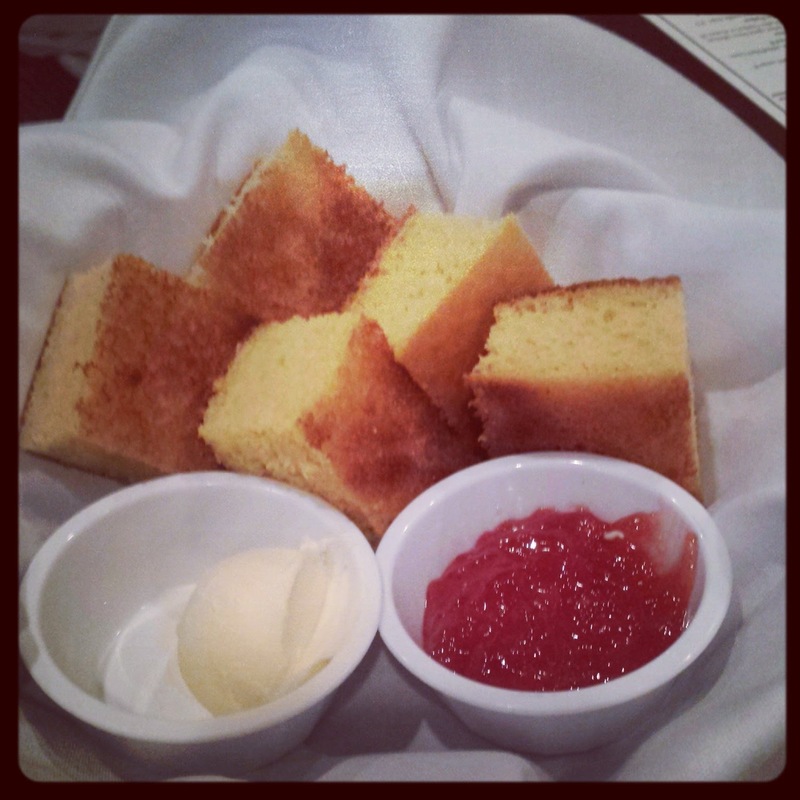 Not your typical bread basket: Mexican version of cornbread served with soft (very important!!!) butter and pepper jelly. 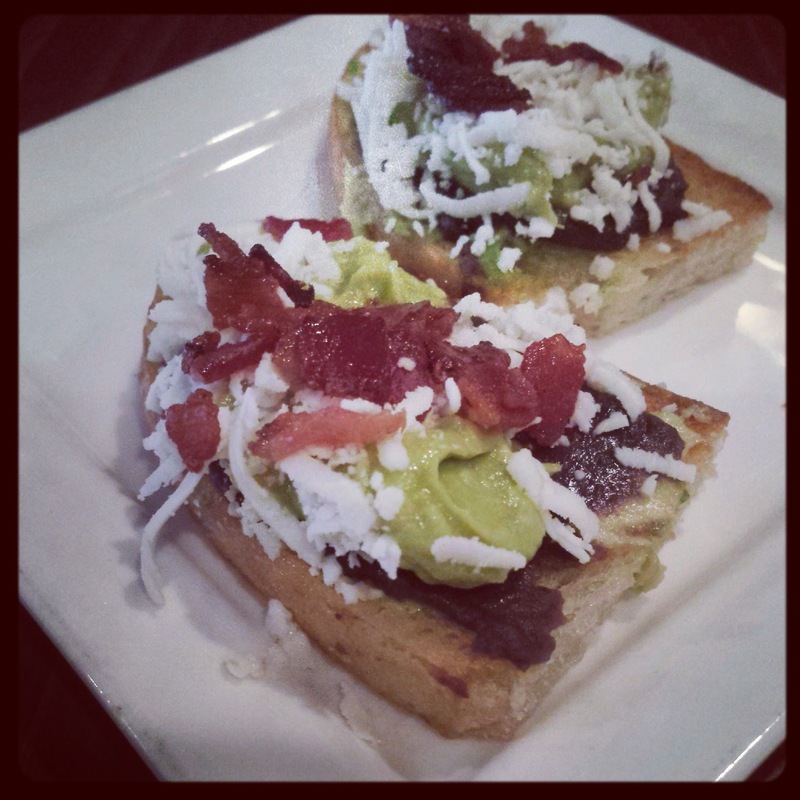 Creamy avocado butter, cotija cheese, refried black beans, bacon, bolillo bread. Poached eggs, corn masa biscuits, poblano rajas, red tomato salsa. 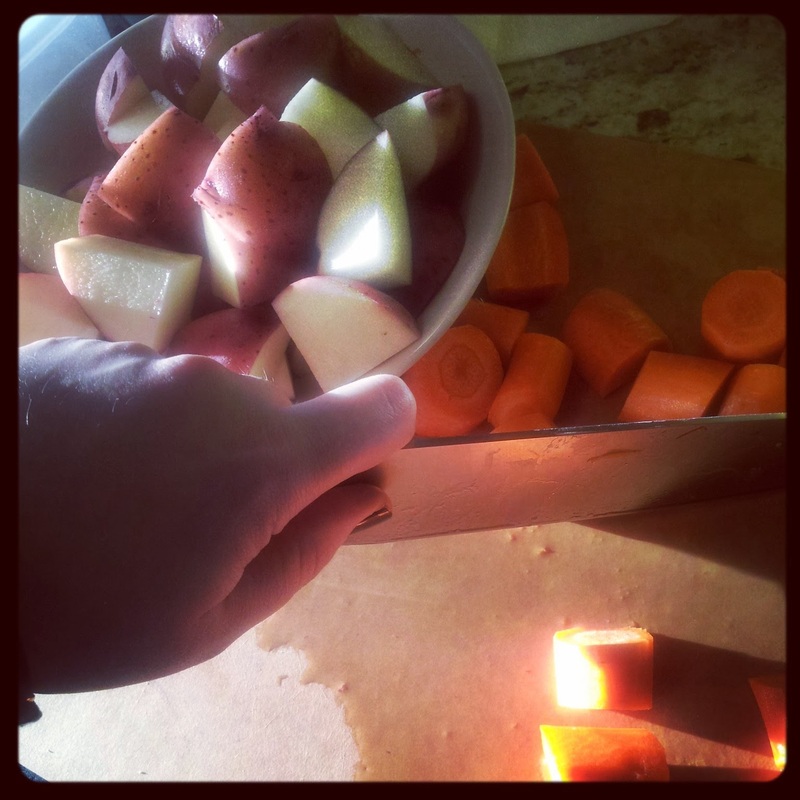 Choose side of fresh fruit or potato hash brown. And don't miss out on the Casa Oaxaca coffee: it's strong and sweet and has a tiny hint of cinnamon. Disclaimer: I was a guest at Casa Oaxaca; all opinions are my own. 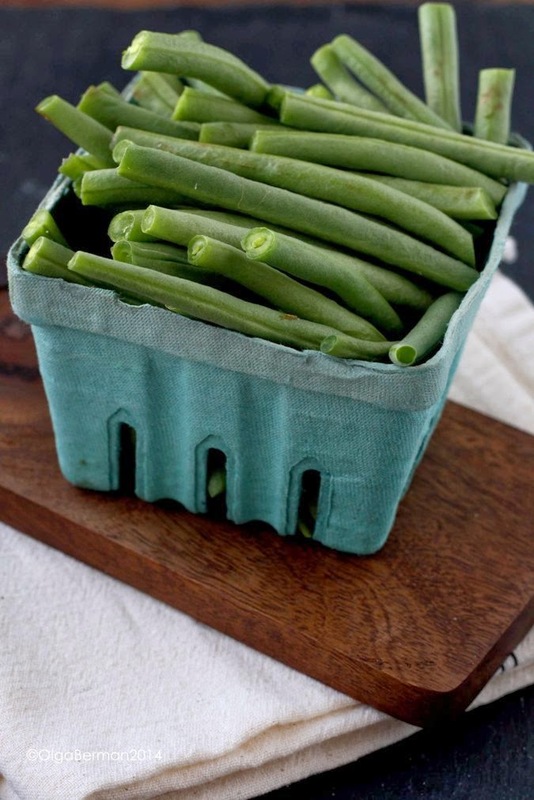 I had way too many green beans in my refrigerator and wasn't motivated to cook them. 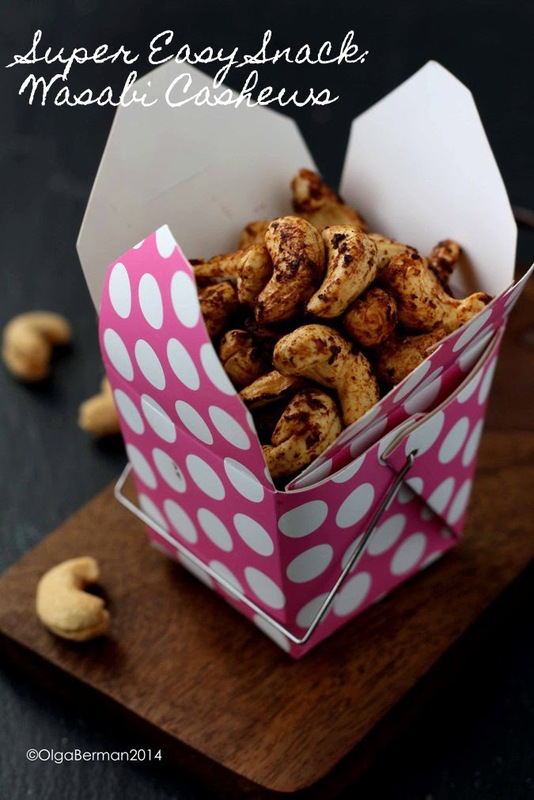 Then someone on twitter suggested I simply blanch them and eat them with a dip: brilliant! What kind of a dip should I make? And that's when I remembered I had a container of Greek yogurt and a bunch of cilantro that I needed to use up. 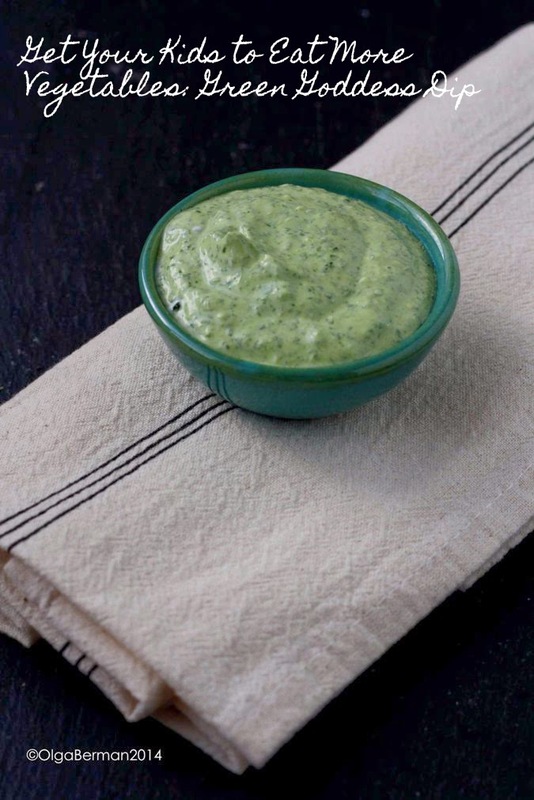 That's how I ended up making my version of Green Goddess Dip. 1. 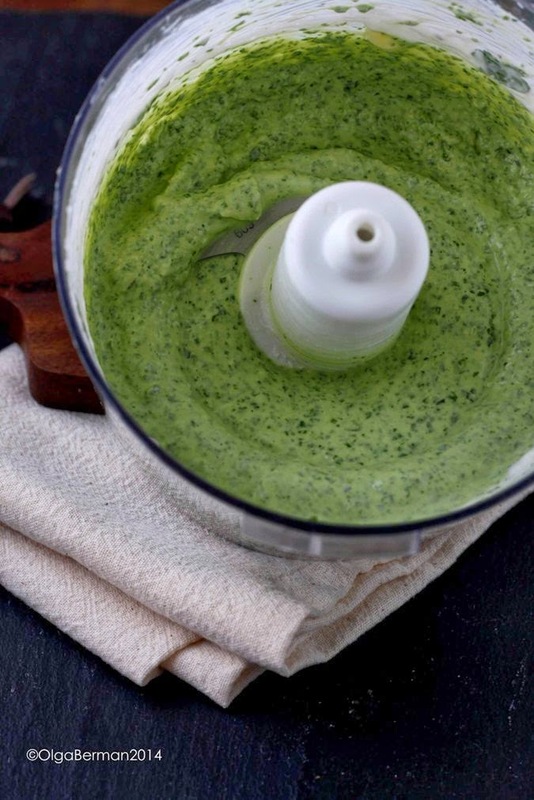 Add everything to a food processor and puree. 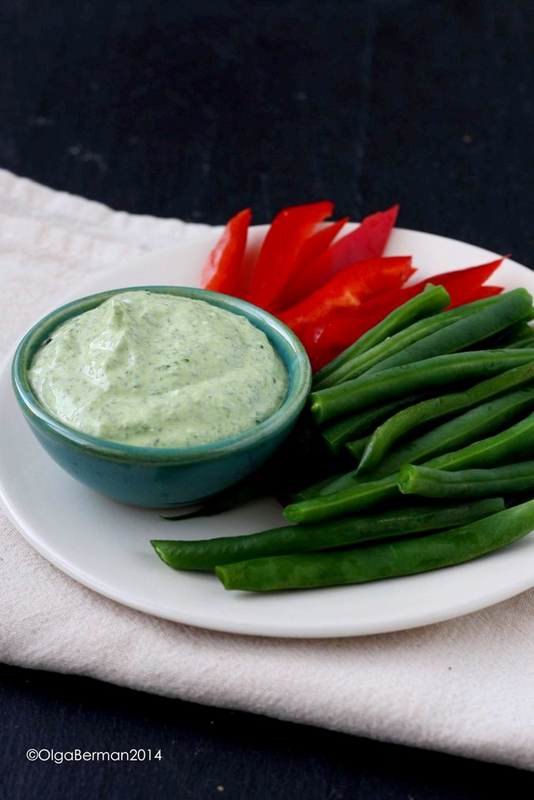 I served this dip with green beans and red peppers, but it'll be equally as good mixed into a potato or pasta salad or served on top of salmon or chicken. I bet your kids would love it too! 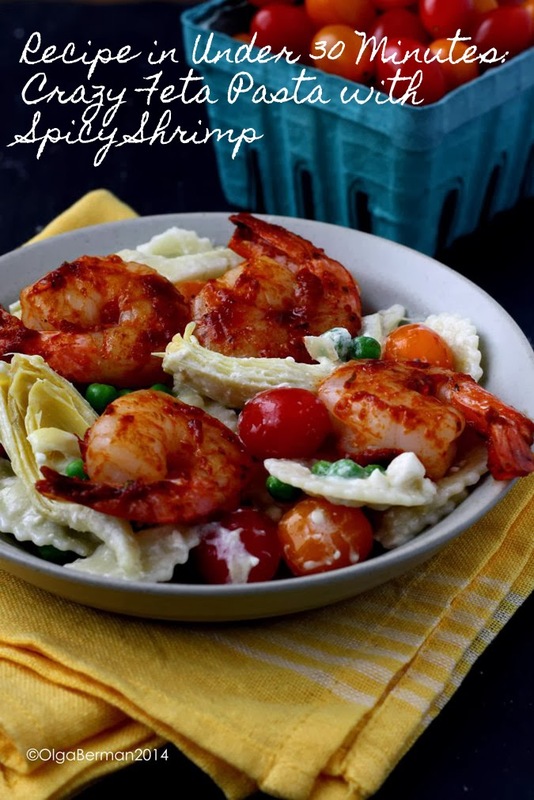 If you don't have a ton of time to cook or prep, you will love this Recipe in Under 30 Minutes for Crazy Feta Pasta with Spicy Shrimp. 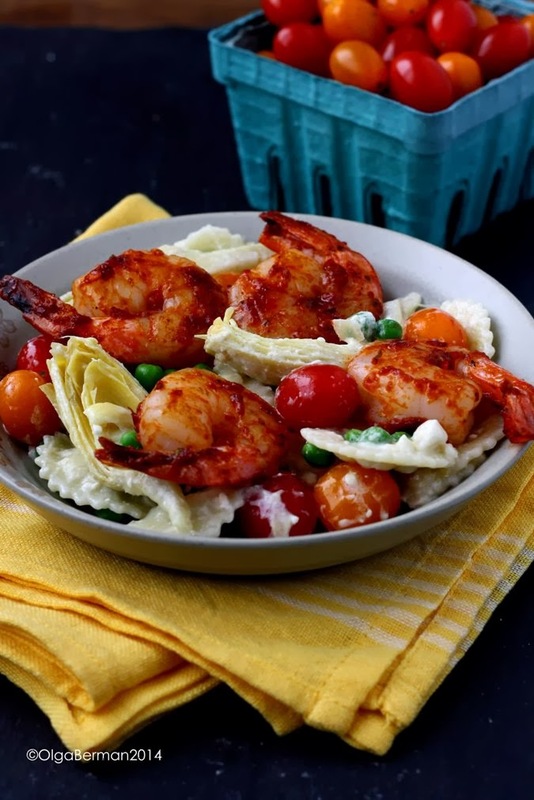 You start with pasta, add a few vegetables, crazy feta and top the entire thing with spicy shrimp! This is a wonderful weeknight dinner or weekend lunch. 1. Cook pasta in salted water. Drain. Add defrosted peas, artichoke hearts, tomatoes and crazy feta. Mix to combine. 2. Meanwhile, heat a bit of olive oil in a skillet and sauté shrimp with harissa until shrimp is cooked through. Add to the pasta with vegetables and crazy feta and serve. Have a wonderful weekend! 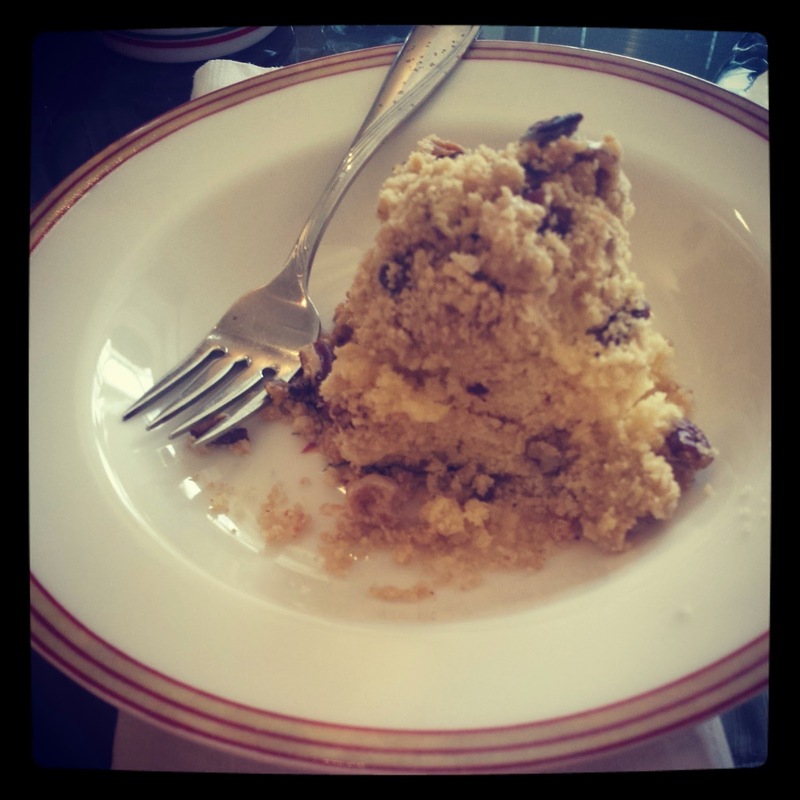 I'm excited to try a few new places for brunch: be sure to come back next week to see where I went and what I ate! 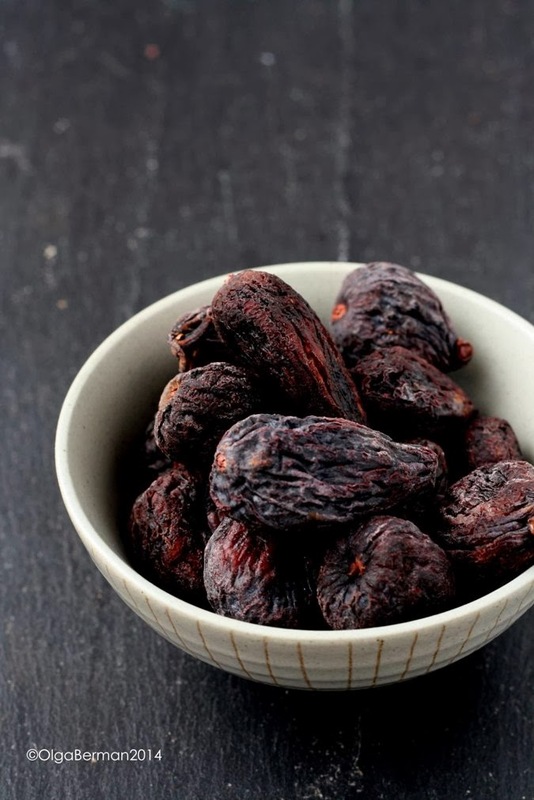 What to do when your parents send you a ginormous bag of dried figs? 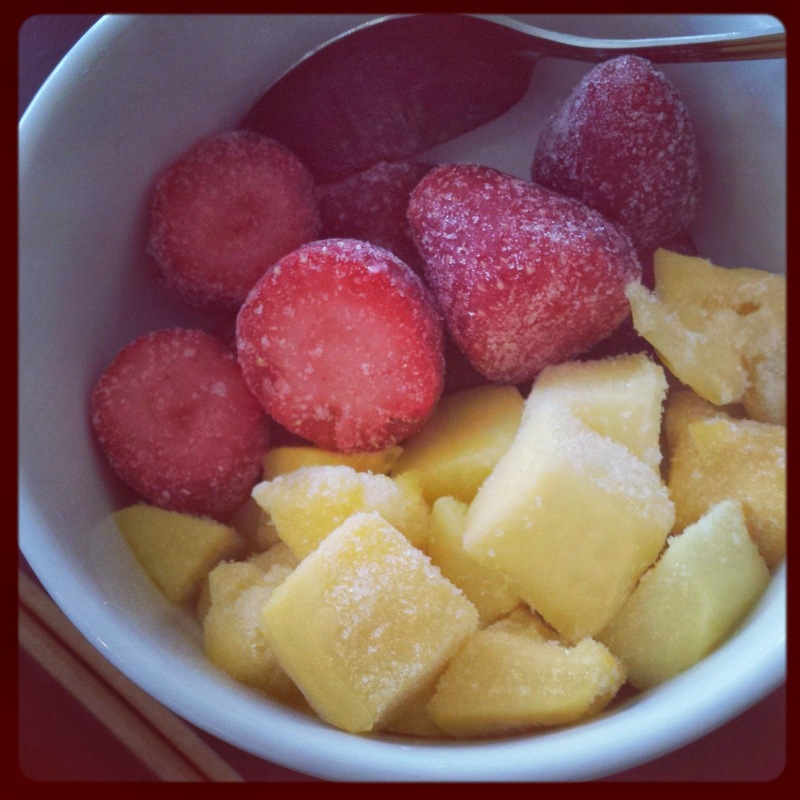 Well, I shared a few with a friend, ate some as a snack, and decided to use a good portion of them to make a smoothie. 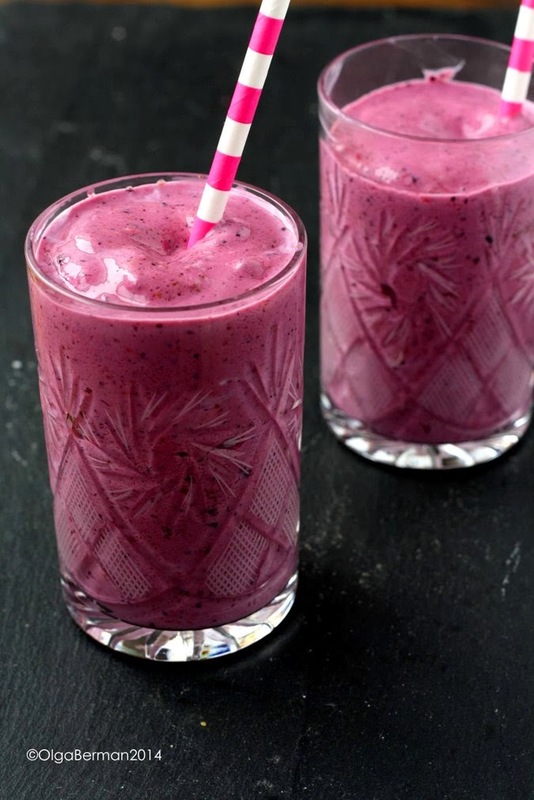 Figs have a great amount of natural sugar and add a different texture to a smoothie. 1. 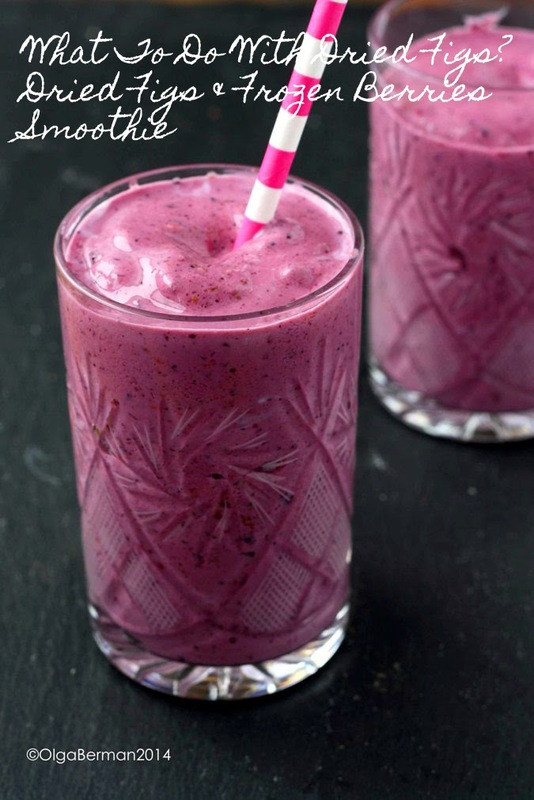 Put all the ingredients into a blender. Puree until you get the consistency you desire. Confession: these paper straws are super cute, but they aren't incredibly useful. 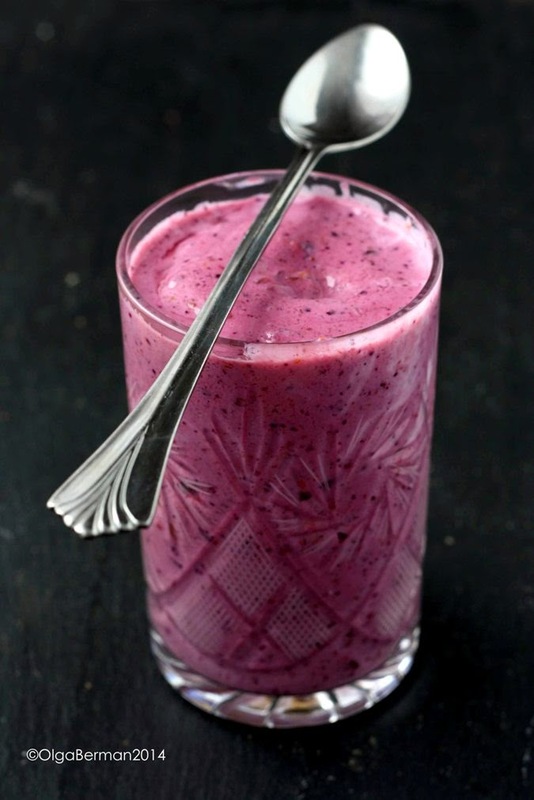 I ate my smoothie with a spoon ;) You can add more liquid and drink your smoothie through a straw. There's no need to add sugar unless you have a very big sweet tooth. Isn't the color gorgeous? 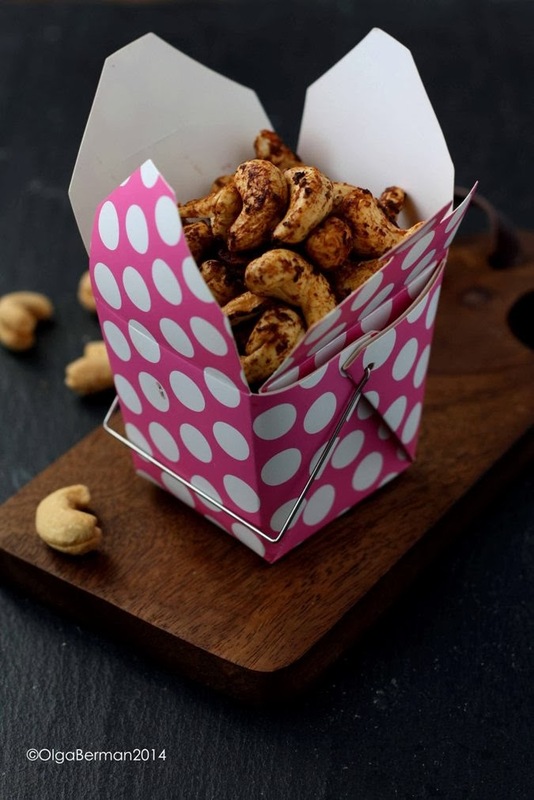 Any other ideas for using dried figs? 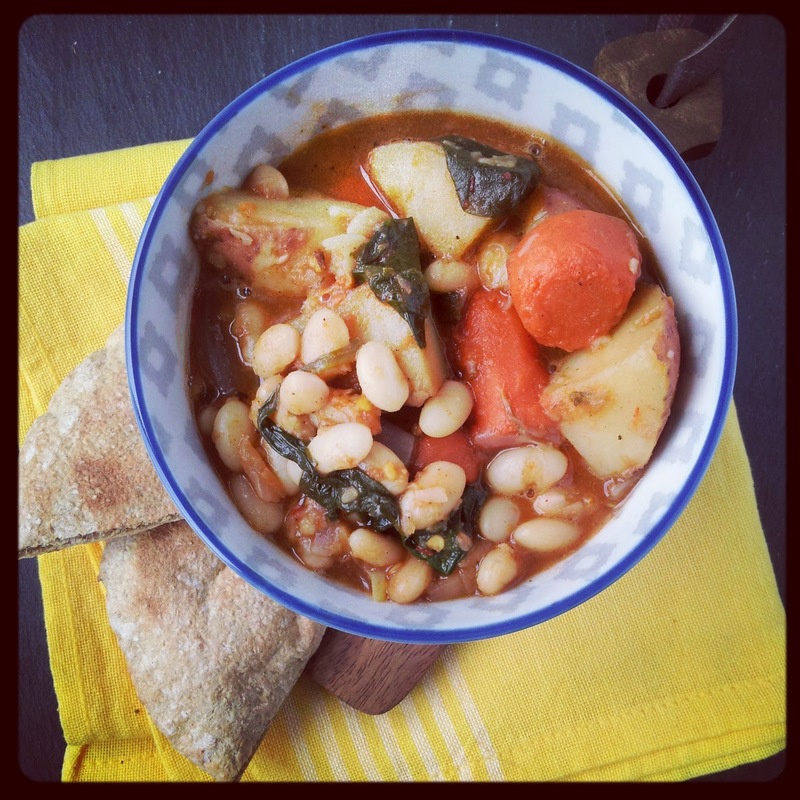 Vegan Spicy Bean, Potato & Vegetable Stew Recipe. Eat Your Vegetables! It's Monday. It's a snow day. It's week 6 of #brokemydominantarm. I'm getting used to the situation and there are small improvements. I'm just hoping for the best, trying to trust in the process and attempting to be as patient as possible. Yes, I'm still cooking....because although I have awesome friends who brought me food and groceries, everyone has their own families, and lives, and stuff and I'm a grown up and must take care of myself. So I've been making simple meals that require minimum chopping since the last thing I want to do is cut my left hand. Chopping with my left hand has been interesting: I can do it, but the knife skills teacher in me is slightly horrified at the uneven cuts ;) Oh well, it all works. 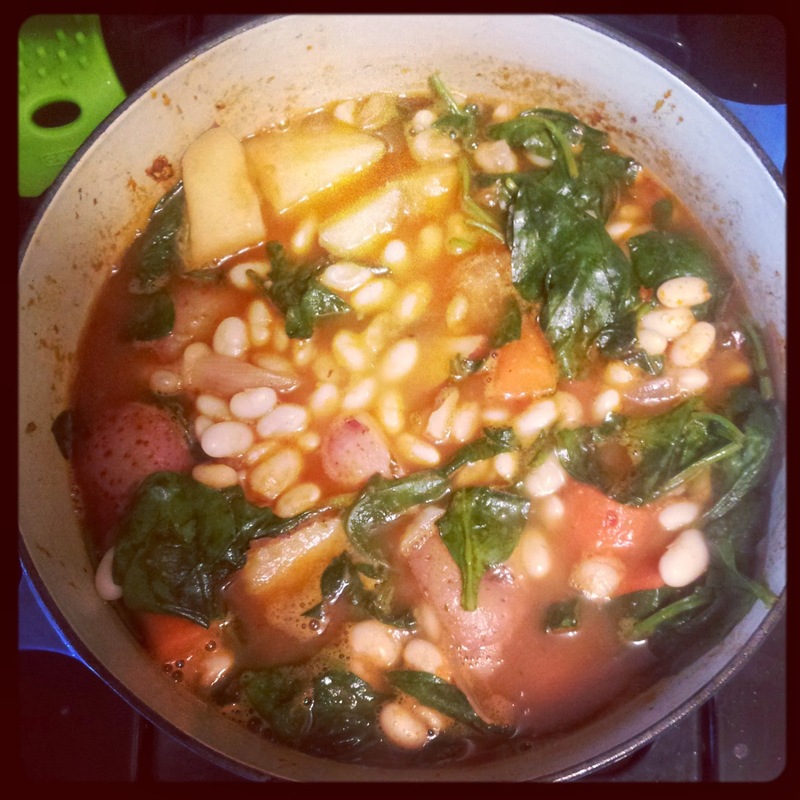 Last week I made Vegan Spicy Bean, Potato & Vegetable Stew and shared the photos on instagram. 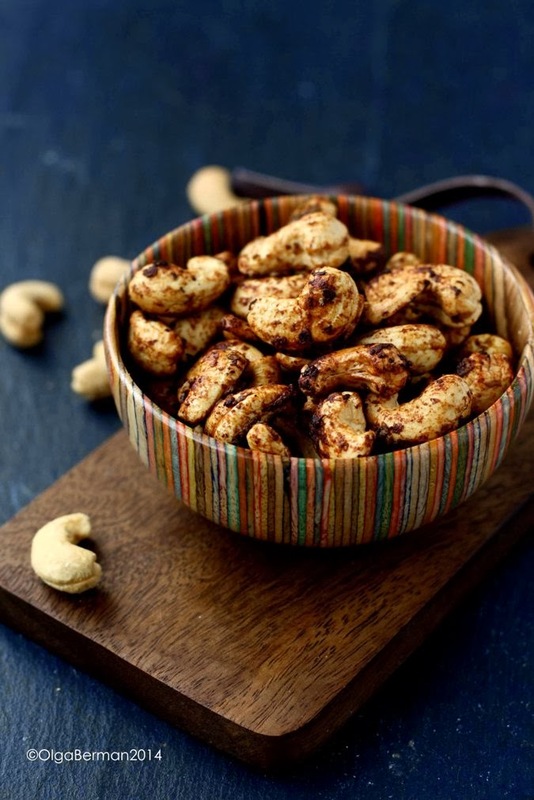 They were liked by enough that I decided to share the recipe here! 1. Heat a soup pot, add oil, allow to heat. 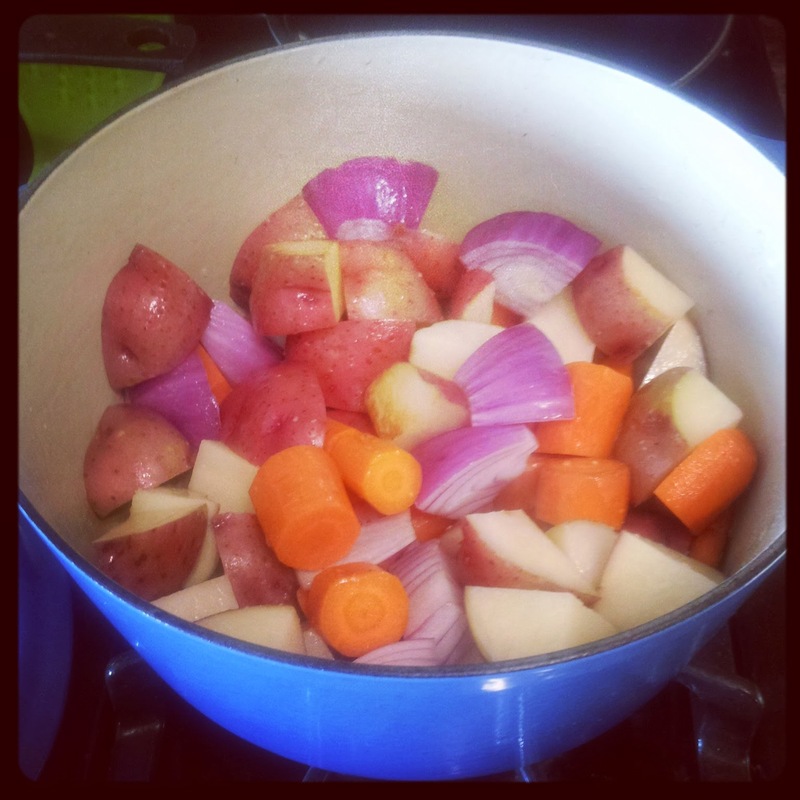 Add potatoes, carrots, and onions and saute until the vegetables are golden brown. 2. Add harissa, mix, and saute for a few more minutes. 3. Cover with water, bring to a boil, lower the heat, cover and simmer until the potatoes are almost cooked through. 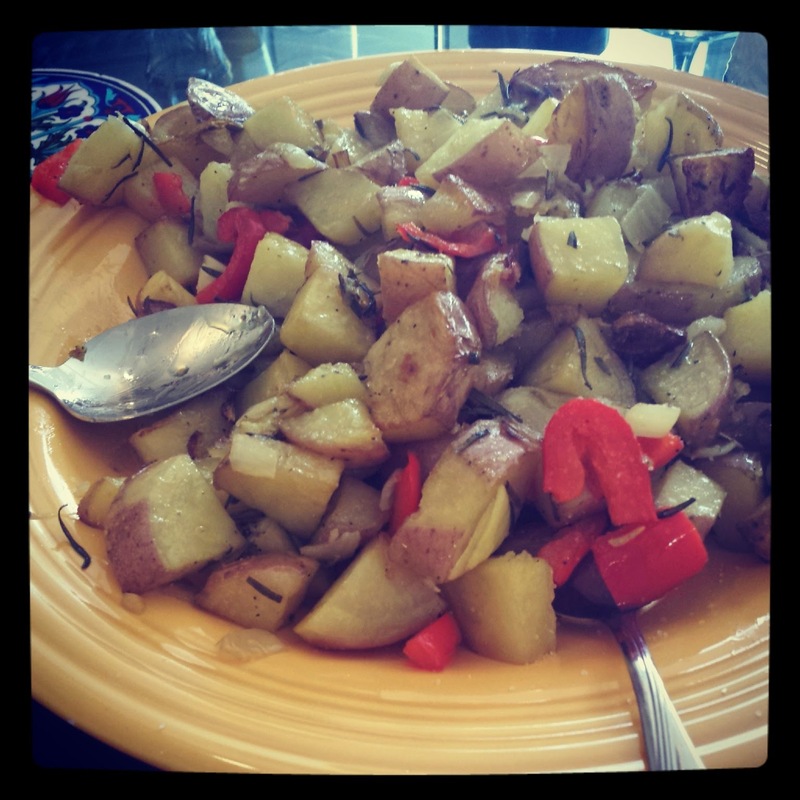 The timing will depend on how large your potato chunks are. 4. 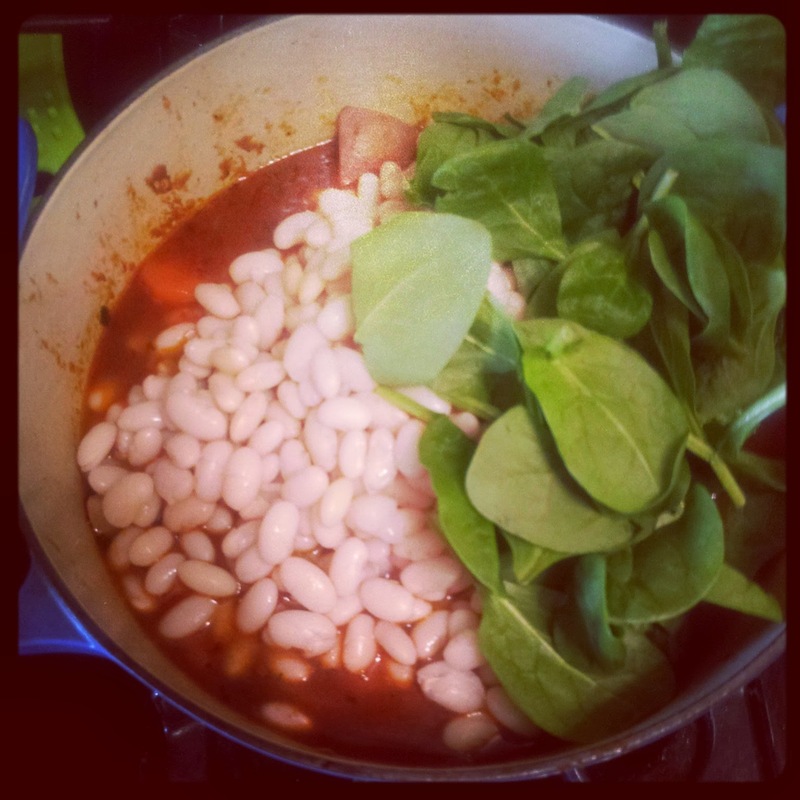 Add the beans and spinach and more water if needed. Simmer for 15 minutes to get all the flavors to combine. 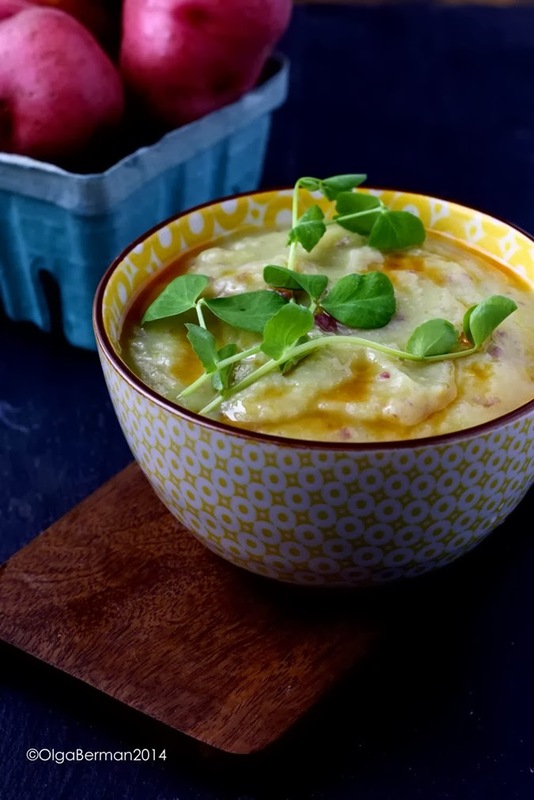 This is such a filling and satisfying stew! It only gets better as it sits in your fridge. And it's perfectly vegan for y'all who care about such things. Make it for yourself and your family soon!!! 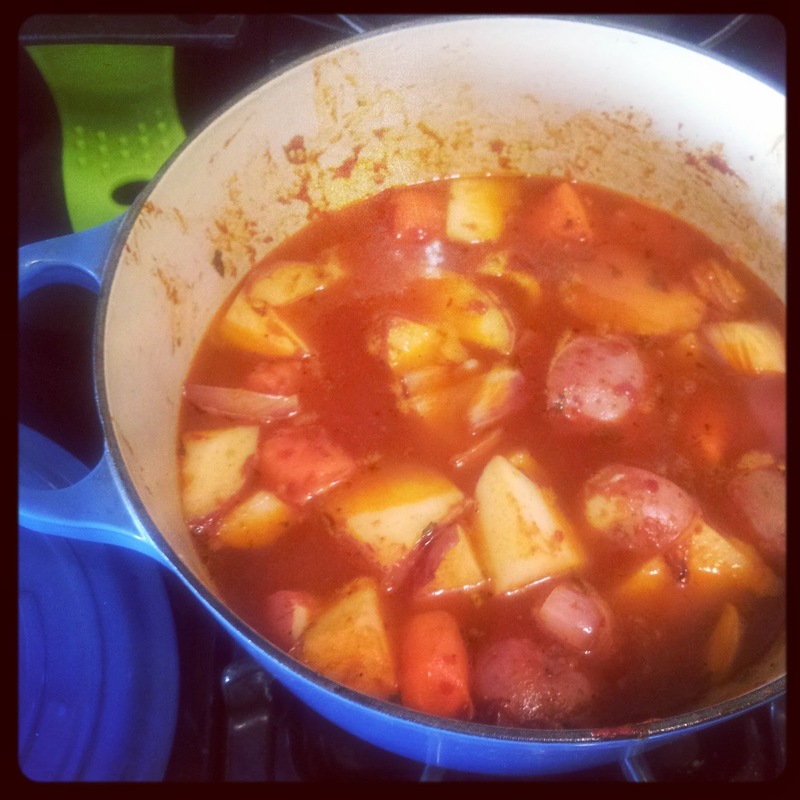 Here's another no recipe recipe that I made a few days ago from a few random things I had in my kitchen. 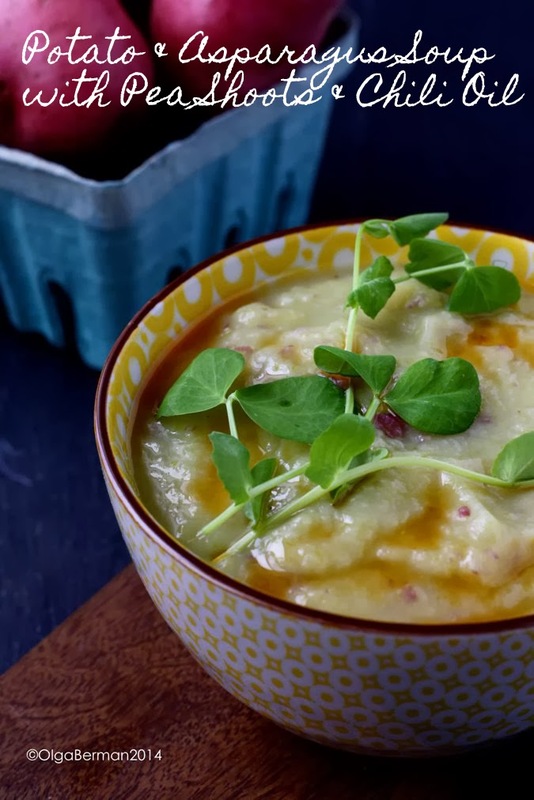 This Potato & Asparagus Soup with Pea Shoots & Chili Oil is filling, easy to make and lasts for multiple days in your fridge. 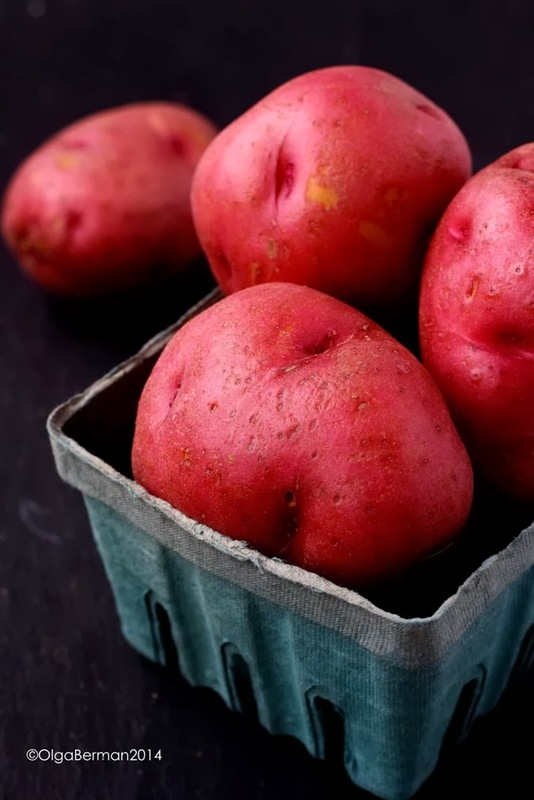 I used red skinned potatoes and asparagus, but you can use whichever kind of potatoes you like and play around with zucchini, broccoli or peas. This is not science! It's just food. As far as the liquid goes, I used some of the liquid from cooking the potatoes and vegetable broth, which makes this a vegan soup, but you can use chicken broth if you wish. 2. Add the asparagus and continue to cook till the vegetables are completely cooked through. 3. Using a stick blender puree the soup adding extra liquid as needed to reach whichever consistency you like. 4. 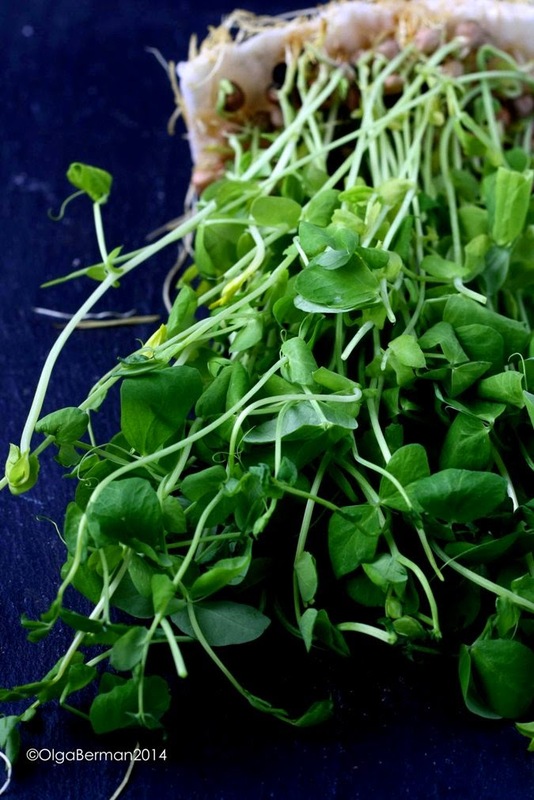 Adjust for seasoning with salt and serve topped with fresh pea shoots and drizzled with chili oil. Because I grew up in Russia, some of my basic believes are slightly different than yours. For example, first day of Spring is March 1st, not 20th like it is in the US. Regardless of when you think Spring starts, I'm sure just like me you are dreaming about it. Summer, no thank you, but Spring, BRING IT! When I think of Spring, I think flowers, lighter food, and the color green. 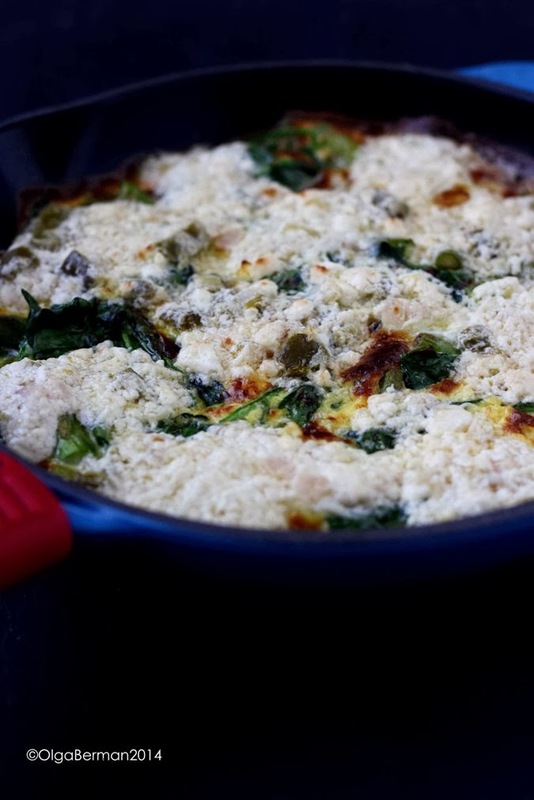 That's why I created a I Dream of Spring Crazy Feta, Asparagus & Pea Frittata. 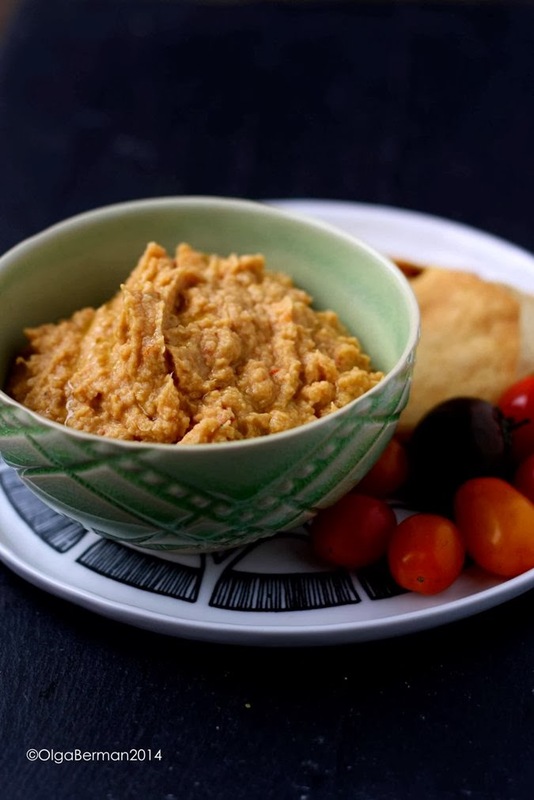 Last week I shared with you a recipe for Chickpea, Artichoke Hearts & Harissa Healthy Vegan Dip I created with a container of Cava Mezze's Harissa. 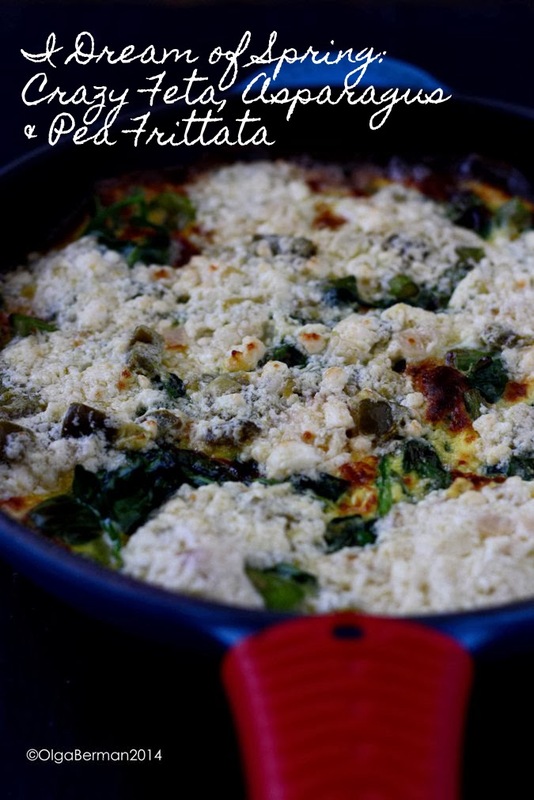 Well, the frittata recipe I'm sharing with you today uses another popular product from Cava Mezze: crazy feta! 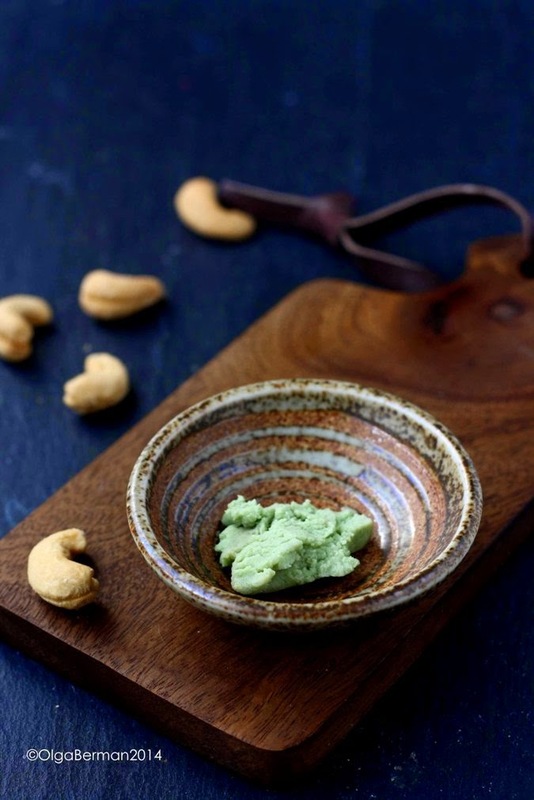 "This jalapeño-infused feta mousse is our modern American twist on a classic Greek mezze. It includes the finest imported Greek feta cheese and extra-virgin olive oil whipped with jalapeño peppers for a marvelous blend of flavors. 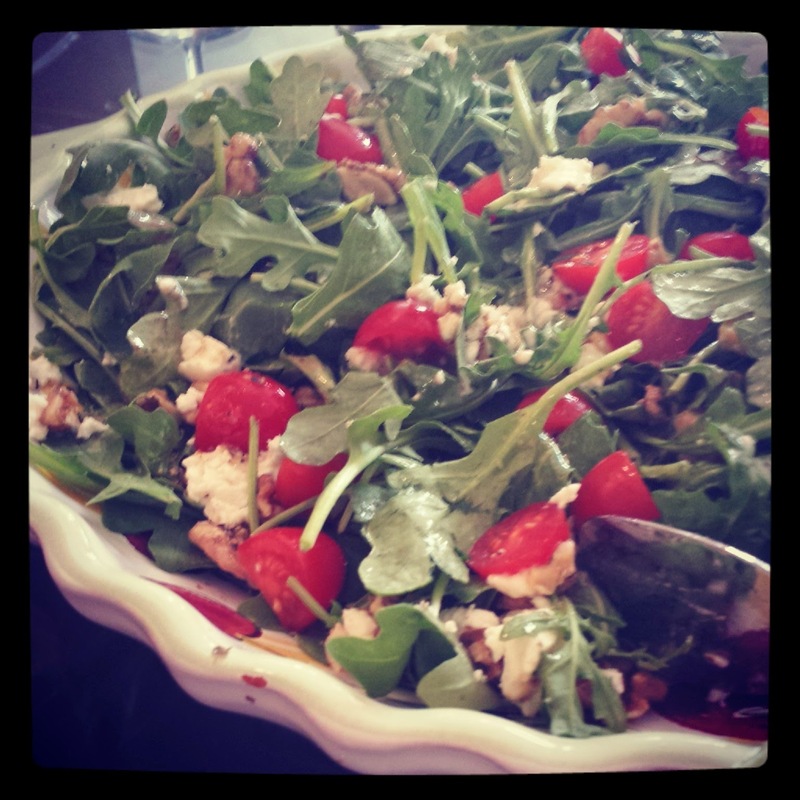 Crazy Feta™ is crazy good." 1. Heat an oven safe skillet on medium high. Add the oil and allow it to heat. 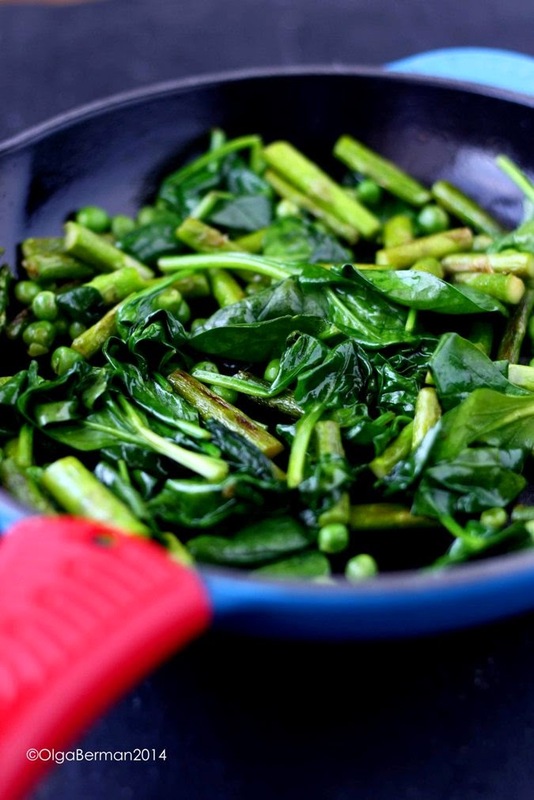 Saute the asparagus until it has softened. 2. Add peas and spinach and sauté until the spinach has wilted. 3. Pour in the egg mixture and allow it to set. 4. 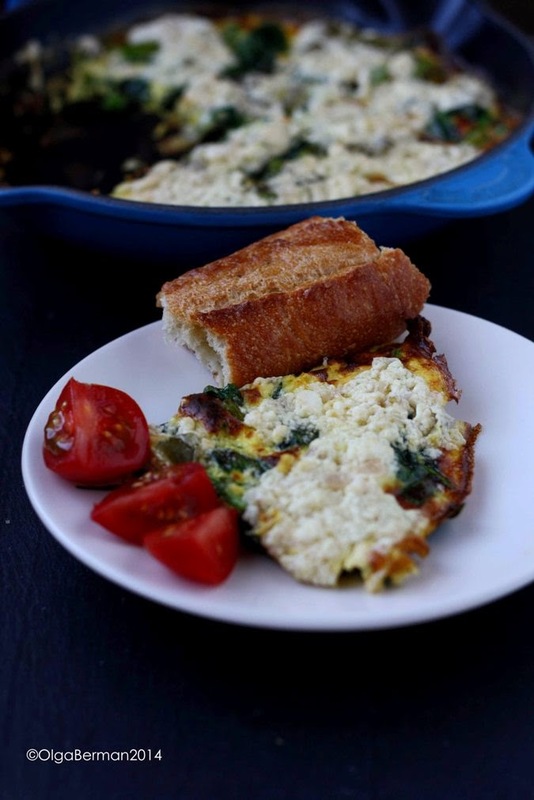 Top the frittata with the crazy feta and put under the broiler for about 5 minutes until the feta has slightly browned. 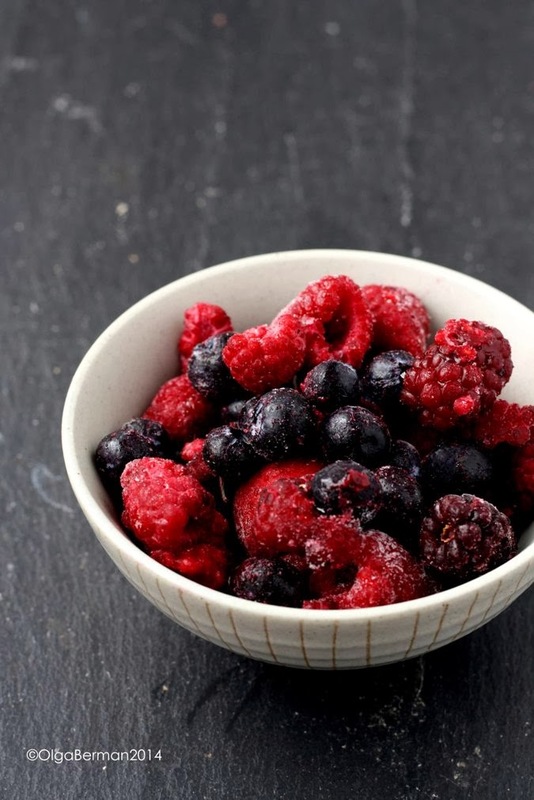 This makes for a great brunch dish and is even good at room temperature. You don't need to add any spices because the crazy feta has plenty of flavor. 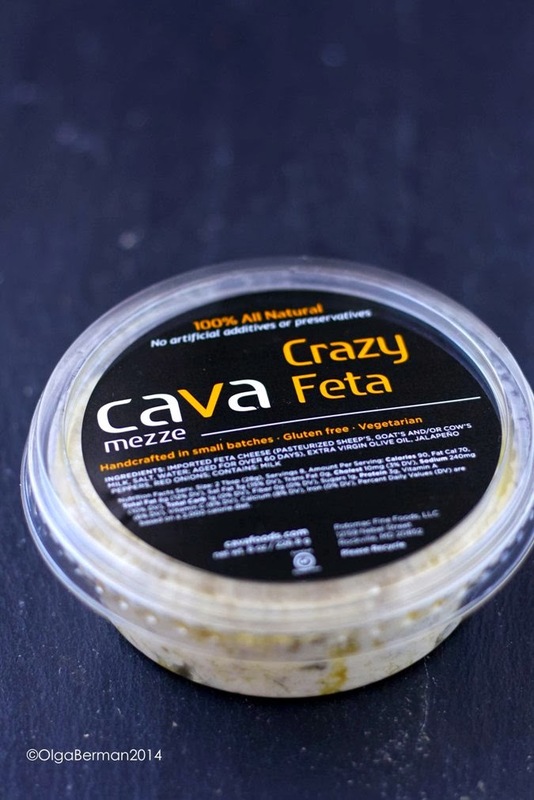 You can find Cava crazy feta at these locations or try it at one of the Cava restaurants. What SPRING things are you dreaming about? Disclosure: I was provided with one container of Cava harissa and crazy feta (recipe coming next week) free of charge but was not paid for this post. All opinions are my own. 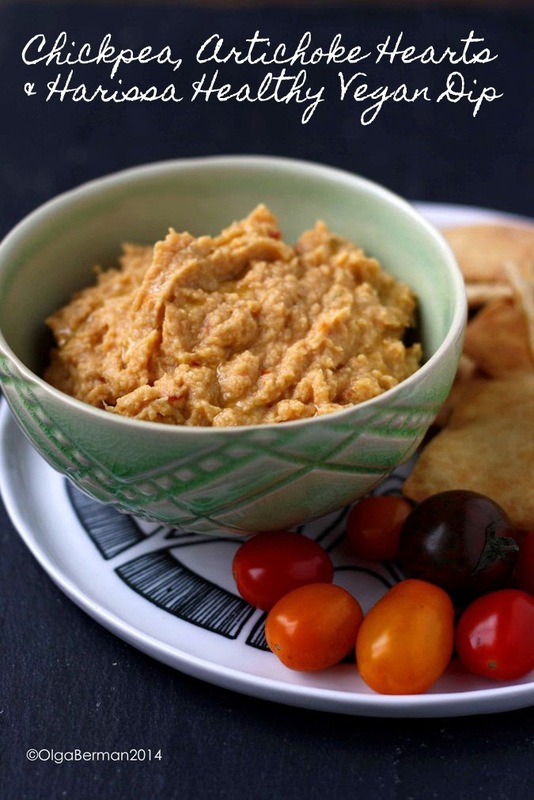 Do you love dips but want something other than hummus, guacamole, or onion dip? 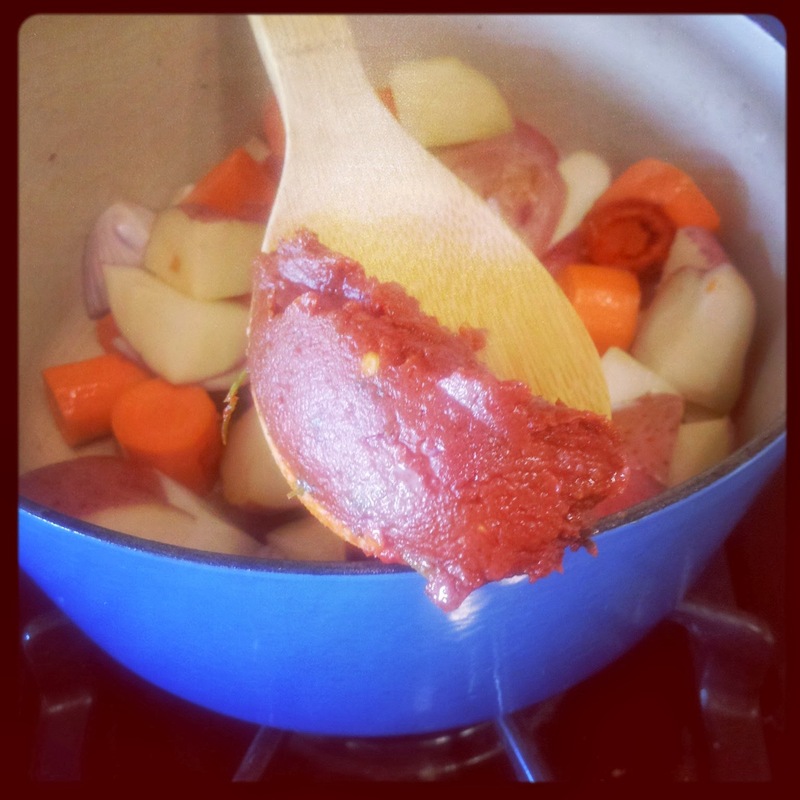 If you answered yes, then you should make my Chickpea, Artichoke Hearts & Harissa Healthy Vegan Dip. I created this dip with a container of Cava Mezze's Harissa that my friend Nikki who is a brand strategist at Cava Grill dropped off a few weeks ago. "This traditional spicy condiment made from tomatoes and peppers can be used as a spread or a dip. Cava Mezze Harissa—served with pita bread before every meal at our restaurants—is a milder take and has become a favorite of restaurant patrons. 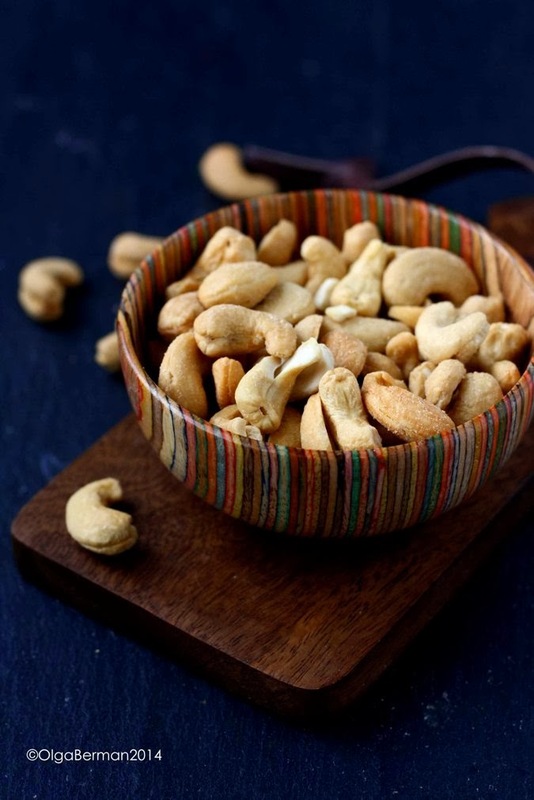 Serve it with chips or pita bread, or to give a kick to your favorite pasta dish, salad or sandwich." 1. Puree everything in a food processor and serve with chips. How easy is that? 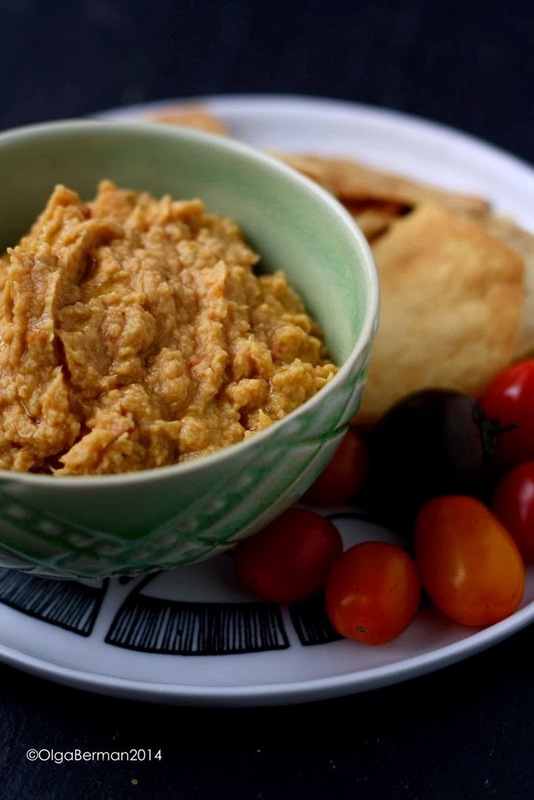 The dip is spicy and slightly sour and is lighter than the other bean based dips. The artichoke hearts and the lemon brighten things up while the harissa gives the dip a lovely kick. 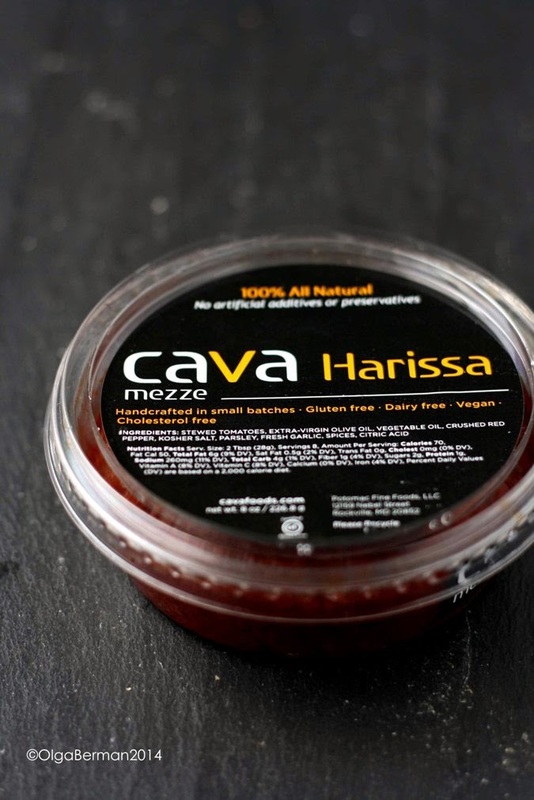 You can find Cava harissa at these locations or try it at one of the Cava restaurants.